Pillow cases are easy to make. Although there are many finished pillow cases products you can buy in the market, you can produce your own pillowcase for a more personal touch. By sewing your own pillowcase, you can add some adornment like laces, trimmings or ruffles. Besides, it is more economical to make one than buying it. Plus, you get the satisfaction that you were able to create something! In making pillow cases, choose a cloth that is soft and comfortable to your skin like cotton, flannel and satin. Pick a color that complements your bed covers and blankets. You can find many fabrics with lovely print designs at the different textile stores. Since I don’t have edging machine at home, I made my pillowcase using french seam. This way, the inside portion of my pillowcase is clean and without tangling thread. 1. Measure the fabric to your desired size, 27”+4 by 34”+ 2 ” (total size is 31” by 36 ”). The additional 4” and 2” are for the fold and sewing allowances. Cut the cloth using a pair of scissors. You may also use a cutter in cutting the cloth. 2. 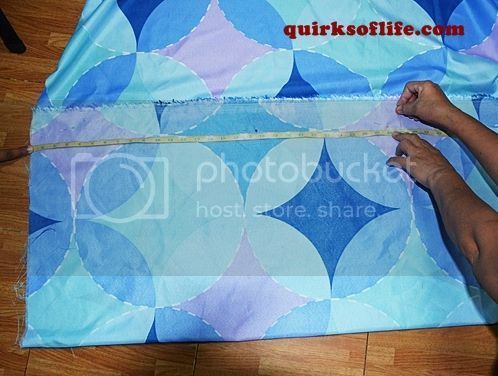 On one side of the fabric (the 36” side), measure 2 ¾” from end to end and draw a straight line. This will be your guide in attaching your rick rack trimming. 3. Stitch the rick rack trim on top of the line you have previously drawn. 4. Fold the fabric lengthwise bringing the cloth dimension to 31” x 18”. (The right side of the fabric should be outside if you don’t have an edging machine. Sewing the fabric using a French seam allows a clean finish inside the pillow case). 5. With the right side facing out, pin the entire length of the fabric together. 6. Stitch one of the shorter sides of the pillow case. 7. Sew the long side ¼ inch from the fabric edge. 8. Cut the seam allowance to 1/8 “ from your stitches. 9. Iron the entire length of the seam allowance, pressing it flat on one side. 10. Reverse your pillow case. Bring the wrong side out. Fold the fabric along the new seam. 11. Press the entire folded seam flat. 12. Sew the entire length of the seam, about ½ “ from the edge. 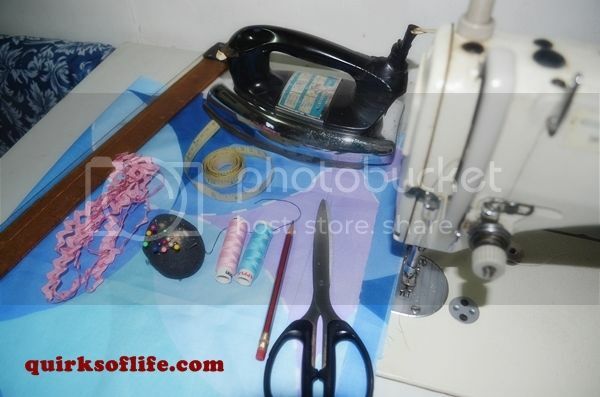 You may use pins in holding the cloth together to make sewing easier. Trimming the edge, then pressing the seam flat, followed by stitching the newly created seam ( on the wrong side of the fabric). 13. Reverse the pillowcase so that the right side will be out. Press the entire seam using your flat iron. 14. Fold about ½ inch from the open side. Iron the entire edge. 15. Make a fold of the entire seam about 2 ½ inches. Hold the fabric together with pins. 16. Press the fabric to make it flat. 17. Stitch-up this side completely. This will be the opening of your pillowcase. 18. Using your pencil make a mark 2” from the opening edge. Draw a straight line covering the entire opening. 19. Attach the rick rack trimmings following the line you have drawn. 20. Press your new pillowcase. Voila! You have just created your personalized pillow case! 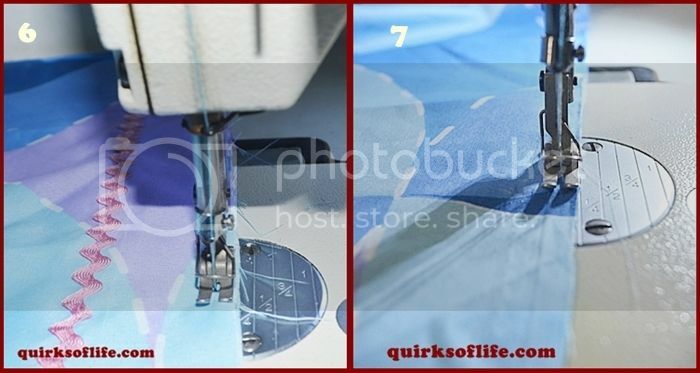 Follow QuirksofLife on Facebook for more simple sewing tips and DIY projects!